Toy Defense 2 – Games for Android 2018 – Free download. 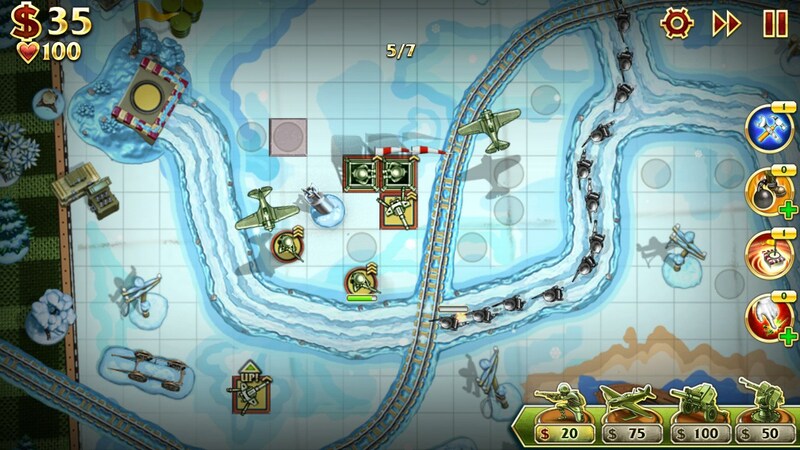 Toy Defense 2 – Sequel to the tower defense strategy. 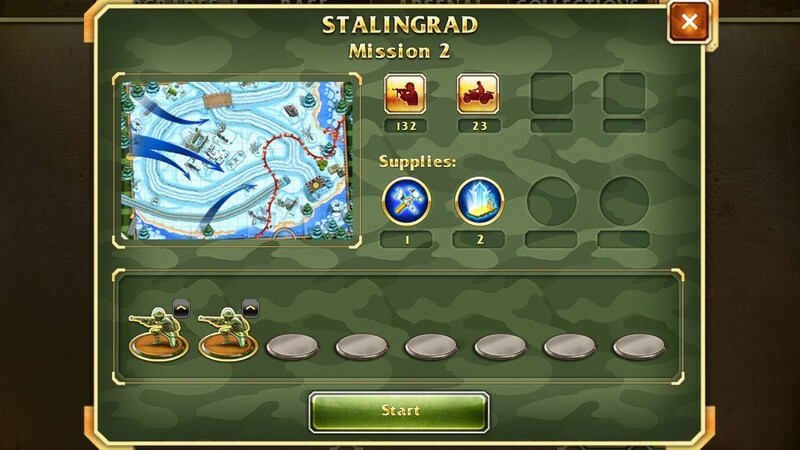 Toy Defense 2 - an exciting defensive strategy for Android, which we will take part in the battles of toy and model a situation such as the Battle of Stalingrad, Normandy landings and operations in North Africa. 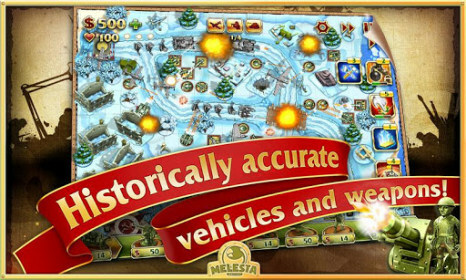 Game development studio is engaged Melesta Games, which released the first part of Toy Defense . Since the release of the first part it's been a long time, but the developers decided not to update the schedule and focused exclusively on new levels. 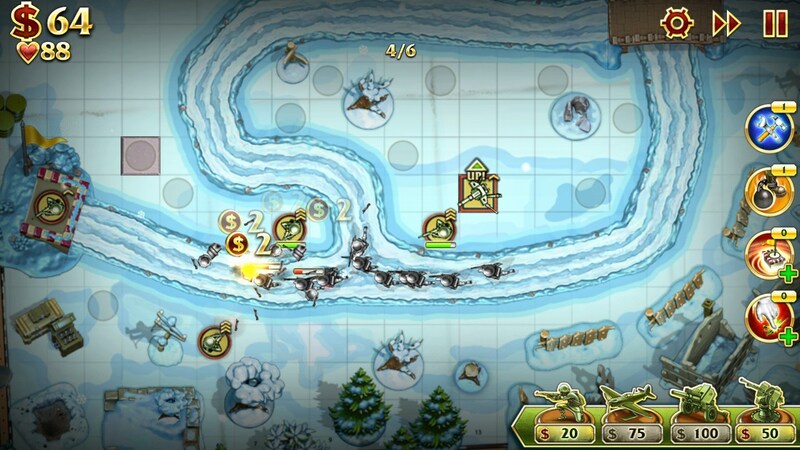 This game is a simplified representative of the genre of Tower Defense. The fact is that here we can not build a tower in any free points for each type of tower is its own separate cell, and only one we can choose. Another difference is that the waves of soldiers and equipment can attack our tower near, and they must be repaired promptly. After dozens of different towers in Fieldrunners 2 , this game will disappoint you a bit, here only 4 main varieties, but each tower can take several forms. Together, this gives a 15 variations improvements. 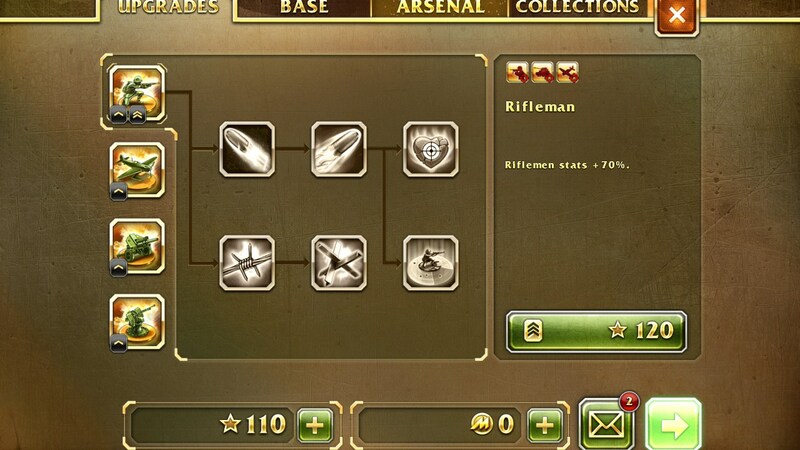 For example, the classic soldier can ultimately improve before the spikes that will slow enemies and deal damage over time. To improve a tower in the game need to wait for the moment when she gets level, and to get it level, the tower must attack enemies. This complicates the approach here is better to start the construction of the finish point is that each new tower had time to get the right level. Towers can improve not only the broken money, but also for the global currency in the form of stars, which are given as a reward up to pass the level. Each subsequent purchase or improvement by the stars will cost more than twice. Pumping characteristics and enhancements for each type of tower to earn points. Summary. 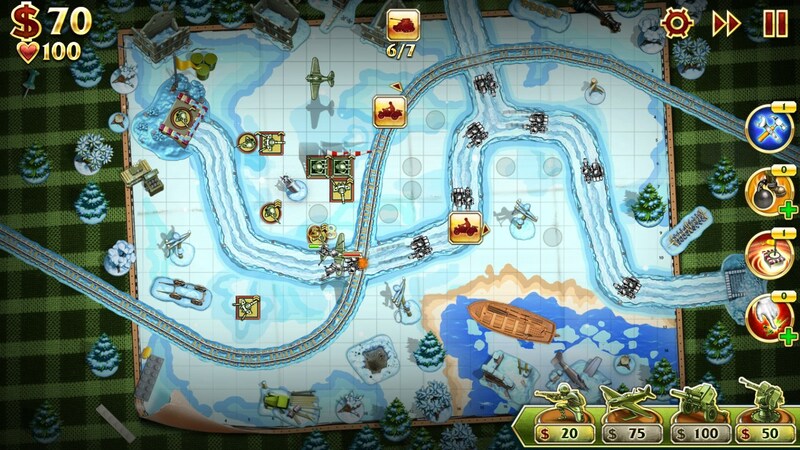 Toy Defense 2 - is the first part of cosmetic improvements and the addition of new levels. 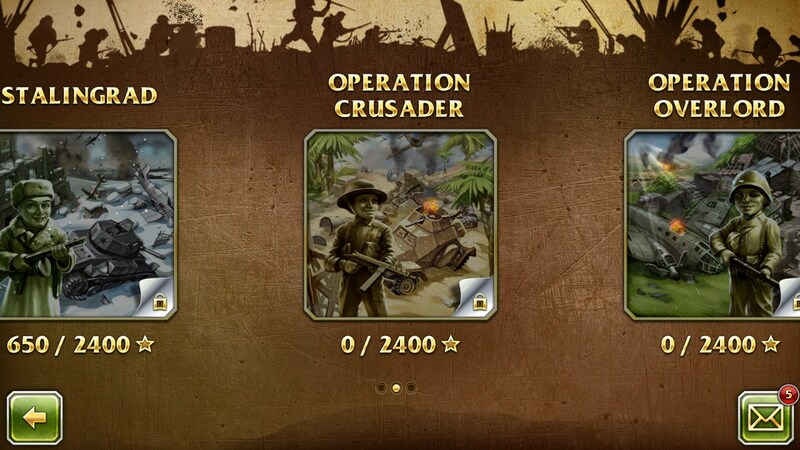 This game is still one of the best in the genre of Tower Defense for Android, especially given the presence of a full free version. Paid version differs only in the presence of additional resources and the lack of advertising.